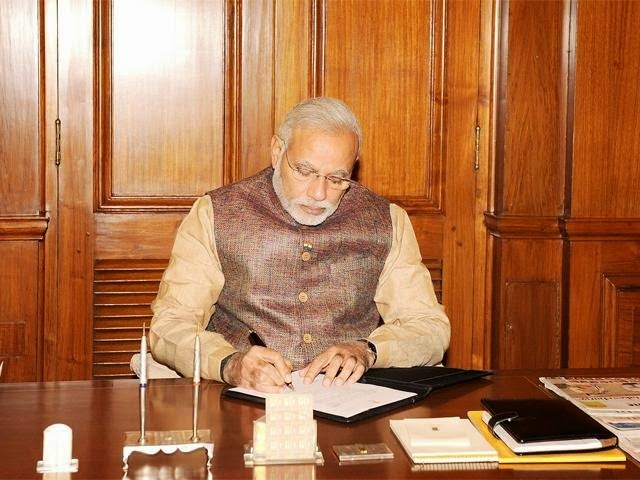 Today, Narendra Modi Government has completed one year as Indian Government. On 26th May, 2014, Narendra Modi took oath of Prime minister-ship from President Pranab Mukharjee at 6.15 PM. We already posted their performance in detail, lets talk about Key Achievements of Narendra Modi Government so far. 1. Launched Swachch Bharat Mission with promise of total sanitation by '19. Modi has nominated many celebrities to join this campaign, including Amitabh Bachchan, Salman khan, Anil Ambani, Suresh Raina and many more. Many people now devoted to cleanness program and there is bit awareness between people about sanitation. 2. Jan Dhan Yojana, More then 15cr Bank Accounts has been opened with in 6 months for free with zero balance, 10cr+ Rupay Debit Card (india's own debit card) has been issued so far. 3. PAHAL Yojana, giving Subsidy for LPG GAS Directly to your bank account, which saved billions of rupee by stopping corruption. Now you get subsidy for gas cylinder which delivered at your home and only in your account. Also, 2lakh+ family give up lpg subsidy to help poor families of india. 4. FDI (Foreign Direct Investment) allowed in Railway without limit, Japan and China to help for making Bullet Trains in india. 5. FDI in Defence Sector raised to 49% and 74 % in case of technology transfer. This will help making defence equipments in India only, will boost Make in India project. 6. Long time pending 36 Rafale fighters being bought, it also brought fast- tracking of defence purchases. This will create more confidence in indian defence team. 7. Narendra Modi Government Approved 100 smart cities project, First smart city GIFT to be launched very soon, many MOU's has signed with china, japan, UK, USA,Australia to make smart cities. 8. For next five year, $130 billion proposed spending on railways which will give bullet trains in india, one between Ahmadabad-mumbai and one between Mumbai- Delhi. 9. Successful allocated Coal Block Auction, 2G spectrum Allocation with collection of 7-8lakh crores. More to lined up. 10. Introduced Real Estate Bill, to provide easy and safe transactions in real estate deals. This will give special privilege to Customer for safe transactions, to stop black transactions in real estate deals. 11. Lunched Make In India, Skill India, and Digital India projects to create more jobs in india. 12. Launched Mudra bank to help new entrepreneurs in india to get Loan up to Rs.10lakh, allocated Rs.20,000cr. 13. Launched new government Web portals like attendance online of government employee, khoya-paya (to find missing child), Mygov.in etc to increase interaction between government and people of india. 14. Introduced Divestment programmes in public sector companies. 15. Introduced Niti Aayog, with adoption of 14th Finance Commission recommendation to sharing revenues between States and central government. 16. Created single window office to get approval of steel, coal and power projects, right under surveillance of PMO. 17. Introduced Black Money Bill to stop saving dirty money. Provided provision of Rs.10lakh up to fine and 10 years of Jail. 18. Price stabilisation fund set up for agri-commodities to check inflation, introduced Soil health card to provide more value of corp to farmers. 19. With idea of Minimum government and Maximum Governance created faster decision making in government. 20. Given financial help to farmers who got damage of 33% corp, earlier 55% corp damage used to get financial help from government. 21. Set up panel on the issue of minimum alternate tax right under law commission chairman. 22. Introduced 3 Pradhan Mantri Jan Suraksha Schemes, 3 schemes are Atal Pension Yojana, Pradhan Mantri Jeevan Jyoti Bima Yojana and Pradhan Mantri Suraksha Bima Yojana. More then 7cr+ people took benefit of Jan Suraksha Schemes. 23. Introduced Sansad Adarsh Gram Yojana, Each Member of Parliament (MPs) to adopt one village every year and to make it model village. 24. Introduced Beti Bachao Beti Padhao campaign to save girl child in india with introduction of Sukanya sunidhi yojana which will give up to 9.5% of interest rate for girl child education, financial scheme. 25. China-USA-UK ready to bat for India's Permanent Seat in United Nation. 26. Australia agreed to give Uranium, will boost project of 24*7 electricity to entire india. 27. Long Time pending case for Israeli Barak missiles for warships, acquisition of 262 missiles to arm the Israeli Barak cleared. 28. Got back indians from Yamen and Iraq with in time. Provided relief material to Kashmir flood victims and Nepal Earthquake affected people in time. 29. One Rank One Pension is finally a reality. Almost 23cr Ex-serviceman, War-widow will get benefit of this pension scheme.